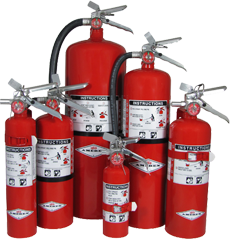 ABC or Multi-Purpose extinguishers utilize a specially fluidized and siliconized mono ammonium phosphate dry chemical.It chemically insulates Class A fires by melting at approximately 350˚F and coats surfaces to which it is applied. It smothers and breaks the chain reaction of Class B fires and will not conduct electricity back to the operator. 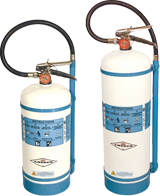 Regular extinguishers contain a siliconized sodium bicarbonate based dry chemical with free flowing and non-caking additives. Economical Class B &C protection with lower initial cost and recharging. This chemical smothers fires in flammable liquids and pressurized gases and will not conduct electricity back to the operator. 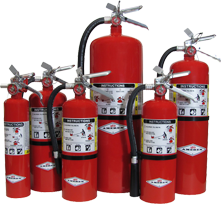 Purple K extinguishers contain a specially fluidized and siliconized potassium bicarbonate dry chemical which is particularly effective on Class B flammable liquids and pressurized gases. It is electrically non-conductive. Purple K has been the choice of oil, gas, chemical and utilities industries as the preferred fire fighting agent. Carbon Dioxide is discharged as a white cloud of “snow” which smothers a fire by eliminating oxygen. It is effective for class B flammable liquids and is electrically non-conductive. 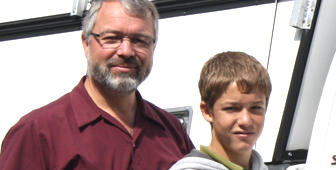 Carbon Dioxide is clean, non-contaminating, odorless gas. 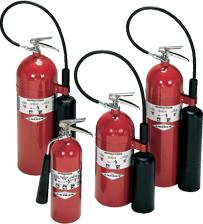 Water Mist is the ultimate extinguisher for Class A fire and where a potential Class C (electrical) hazard exists. The fine spray from the unique misting nozzle provides safety from electrical shock, greatly enhances the cooling and soaking characteristics of the agent an reduces scattering of burning materials. Wet Chemical extinguishers are the best restaurant kitchen appliance hand portable fire extinguishers you can purchase. Each model has been tested and approved the Class K listing by UL specifically for restaurant kitchen hazards. They contain a special potassium acetate based agent.